The record is made up of 1 file (31 folios). It was created in 10 Mar 1904-19 Jun 1918. It was written in English. The original is part of the British Library: India Office The department of the British Government to which the Government of India reported between 1858 and 1947. The successor to the Court of Directors. Records and Private Papers. 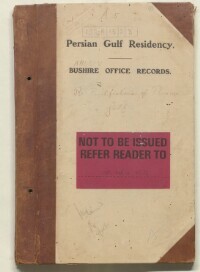 The contents of the file relate to the British Government’s concerns over growing British and international interest in the Gulf’s pearling industry, hitherto almost exclusively exploited by the region’s indigenous inhabitants. 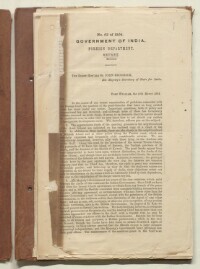 1) The first half of the file (folios 2-13) comprises copies of Government of India correspondence published in 1904 and 1905, which discuss Britain’s historic role in the Gulf in relation to the pearling industry. 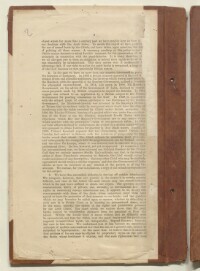 Themes covered include: Britain’s duty to protect the pearl banks for the benefit of the Arab pearl divers, acknowledgement of growing national and international interest in the pearl banks, the extent of territorial waters, and the likely result of any legal challenges to Britain’s refusal to allow foreign interests the opportunity to exploit the Gulf’s pearl banks. 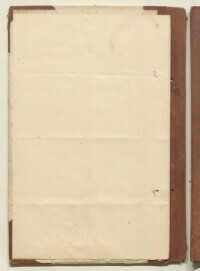 2) Correspondence relating to an enquiry by a German businessman, concerning the pearl trade in the Gulf (folios 15-17). 3) Printed copies of correspondence (folios 20-23) from the Persian Gulf Historically used by the British to refer to the sea area between the Arabian Peninsula and Iran. Often referred to as The Gulf or the Arabian Gulf. Political Resident A senior ranking political representative (equivalent to a Consul General) from the diplomatic corps of the Government of India or one of its subordinate provincial governments, in charge of a Political Residency. 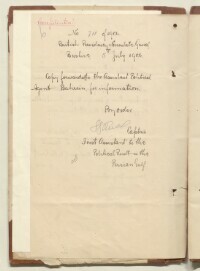 (Lieutenant-Colonel Percy Cox) and the Bahrain Political Agent A mid-ranking political representative (equivalent to a Consul) from the diplomatic corps of the Government of India or one of its subordinate provincial governments, in charge of a Political Agency. 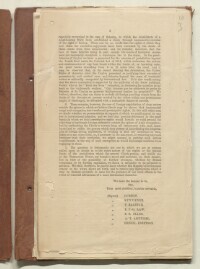 (Captain Charles Mackenzie), dated 1910, concerning the increasing trade in oyster shells in the Gulf, used for the production of mother of pearl. A drop in the numbers of oysters being fished is attributed to the mother of pearl industry. A German firm based in Bahrain, Wonckhaus & Co., is identified as a key exporter of oyster shells at Bahrain. 4) A letter (folio 27) intercepted by the Political Agency An office of the British Government and, earlier, of the East India Company. 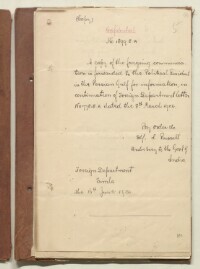 in Bahrain, from the Secretary of the Wolverine Motor Works, U.S.A., to Robert Wonckhaus & Co., dated 3 February 1915. The letter and accompanying leaflet (folios 28-29) relates to Wolverine Motor Works’ new combined compressor and propelling motor, designed specifically for use in the pearl fishing industry. 5) A typewritten extract from the Times of India Illustrated , dated 19 [month missing, presumed June] 1918 (folio 30) reporting on rumours that German financiers are buying up all the pearls available in Britain and France. The contents of the file have been arranged in approximate chronological order, running from the earliest items at the front of the file to the latest at the end. 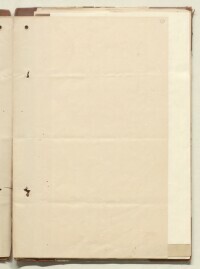 Foliation: The file is foliated from its front cover to inside back cover, using circled pencil numbers in the top-right corner of each recto The front of a sheet of paper or leaf, often abbreviated to 'r'. . There is an additional pagination system running throughout the file. 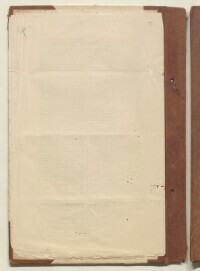 Folio 29 is a fold-out. 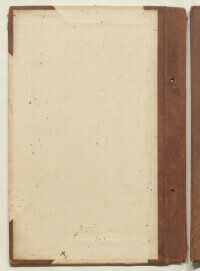 There is minor insect damage to papers throughout the file.